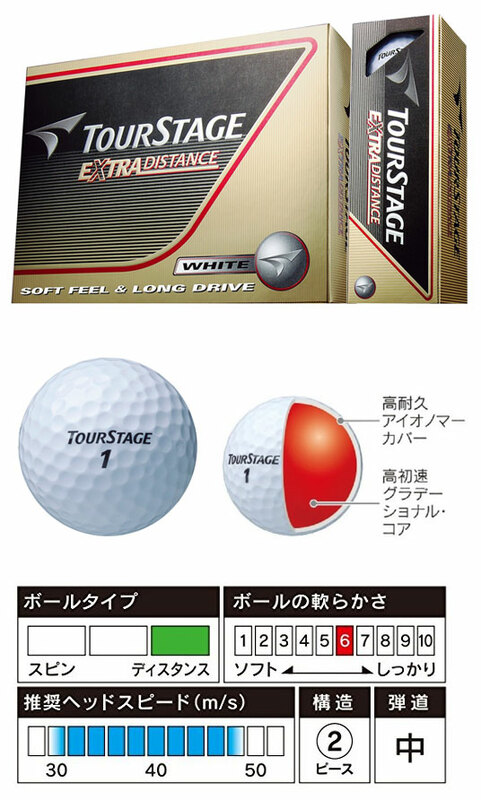 Golf Ball "TOURSTAGE EXTRA DISTANCE" producing big hi bito going straight characteristics comes up! There is a feeling of good flip and can enjoy refreshing shot. In addition, yellow, orange which color variations increase in white, and are bright are lineups. We see trajectory clearly and are easy to find own ball and lead to smooth, comfortable play.